Noida Wave infratech has launched Wave One project, a magnificent property in Sector 18 Noida . Wave One is a located in the heart of Noida and offers large modular showrooms, a mammoth central atrium with 8 escalators, parking for 2000 cars, and much more. The complex has access from all 4 sides and has a 20 mt long sidewalk for visitors. Wave One has dedicated floors for F & B and leisure. It is one of the popular ready to move projects in Sector 18 , and is available at an affordable price staring at Rs 32 lakhs. 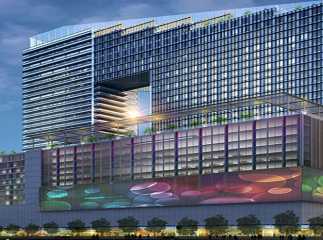 Wave One is one of the most sought after commercial projects in Sector 18 Noida , and is expected to give excellent returns over the next few years. The complex has a cafeteria, intercom, fire-fighting equipment, power backup, WiFi connectivity, waiting lounge, conference room, and much more. The project is expected to give good returns over the next few years.